It’s no more cream for my friend now. No more any cow milk and any of its derivatives. Although this doesn’t affect MY diet and I can (and would) make a whole batch of thick creamy ice cream and stuff my face, smear my cheeks and ruin the sheets with it, it is not fair for me to pig out on that batch while he throws floppy disks (that we use as coasters) filled with 1.4mb of jealousy at me. I am a considerate man. But this time I was. I looked up a recipe, that requires the use of the ice cream machine, containing no milk or cream. A sorbet. 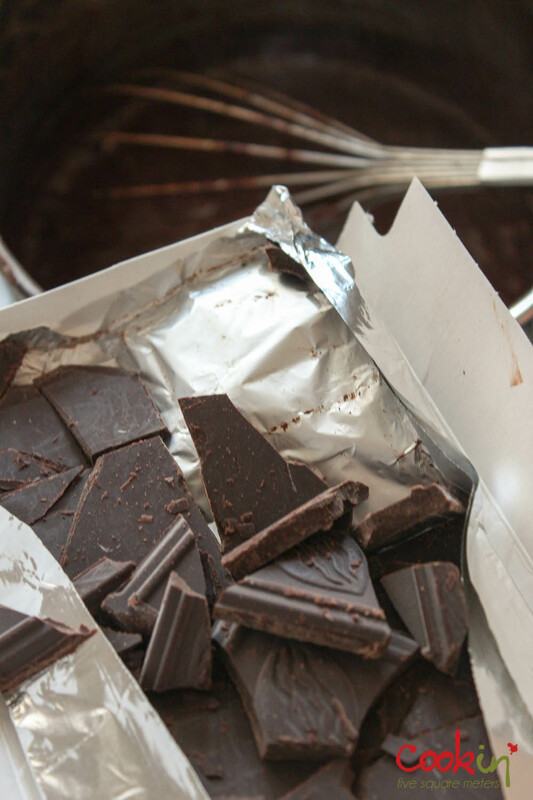 But it should take care of our worst cravings: Dark chocolate. 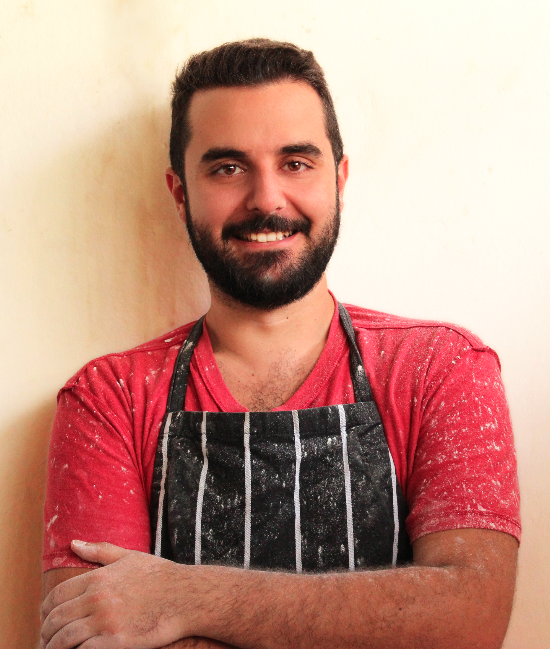 I found a recipe by David Lebovitz (Link below) and decided to give it a lighter twist. 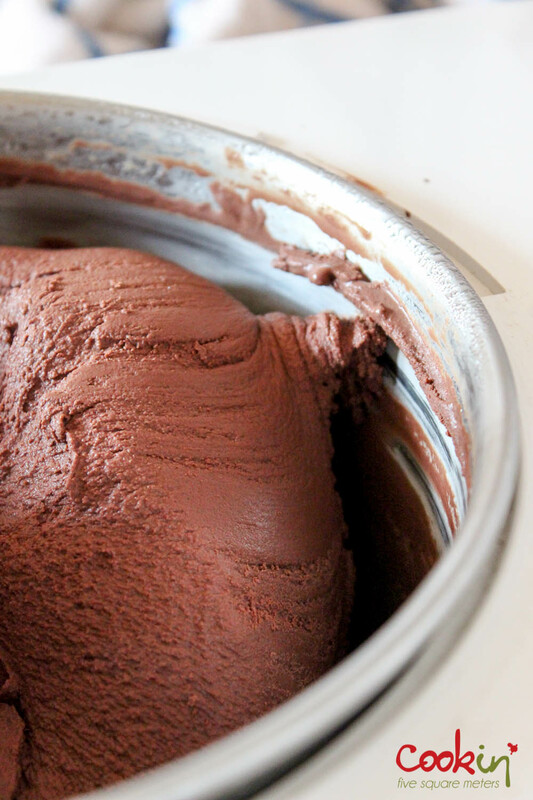 This dark chocolate sorbet, which has no milk or cream (or any nut milk or cream) turned out ridiculously creamy. What it relies on is science. I guess there is something in the process that makes this mixture have the appealing texture of ice cream without the dairy, fat, and sugar. 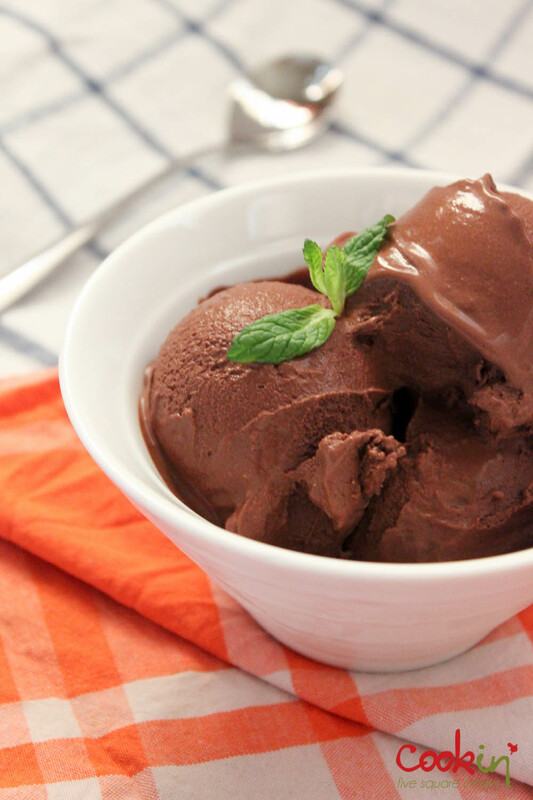 If you’re one of those who enjoy sorbet/ice cream during cold weather than hot, this recipe is for you. I find it more pleasing to indulge in ice cream in cold weather because you can really take your time with every bite and every lick of a spoon and of the bowl. Yes I do lick the bowl. 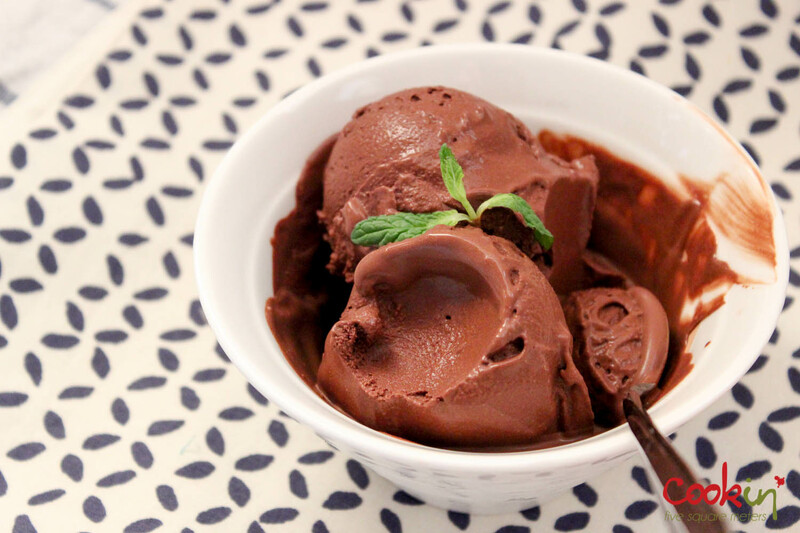 While in summer, the purpose of ice cream is mostly to cool you down. You’ll have to swallow it rather than enjoy. Since it might get cold now (HURRY UP WINTER!!!) let’s all scream for ice cream. 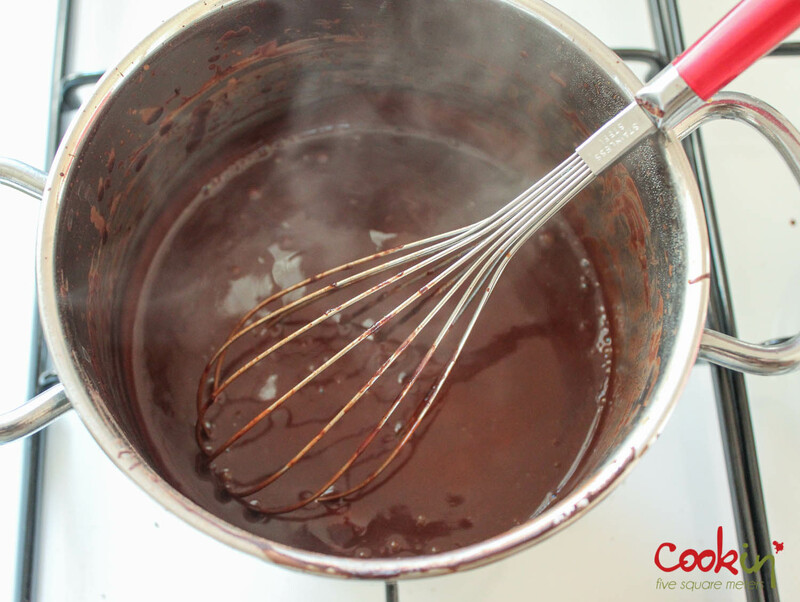 In a large saucepan, whisk together 1 1/2 cups (375ml) of the water with the honey, cocoa powder, and salt. Bring to a boil, whisking frequently. Let it boil, continuing to whisk, for 45 seconds. 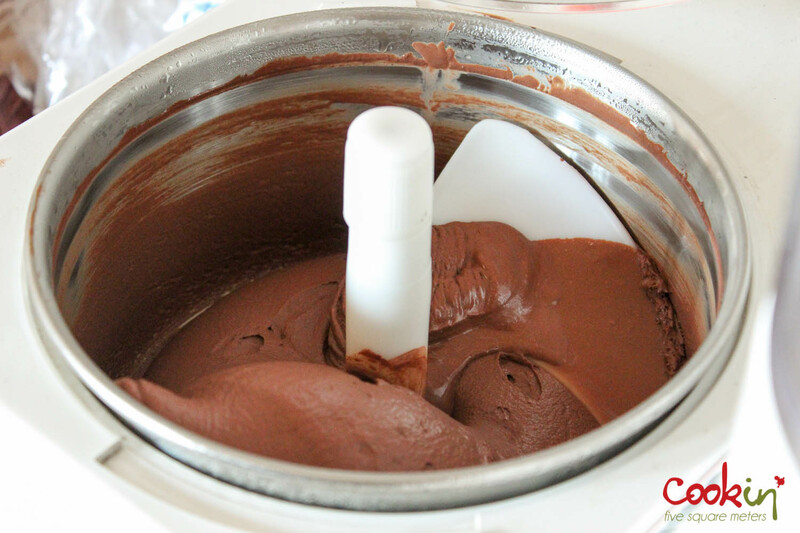 To make this without an ice cream maker, pour the mixture into 2 or more small containers and bring to almost freezing state (between 1 and 3 hours according to your freezer and the temperature of the mixture) then process in a food processor until creamy. Return to a large container and freeze. Let it thaw in the refrigerator for 30 min before serving. Return to freezer after serving. 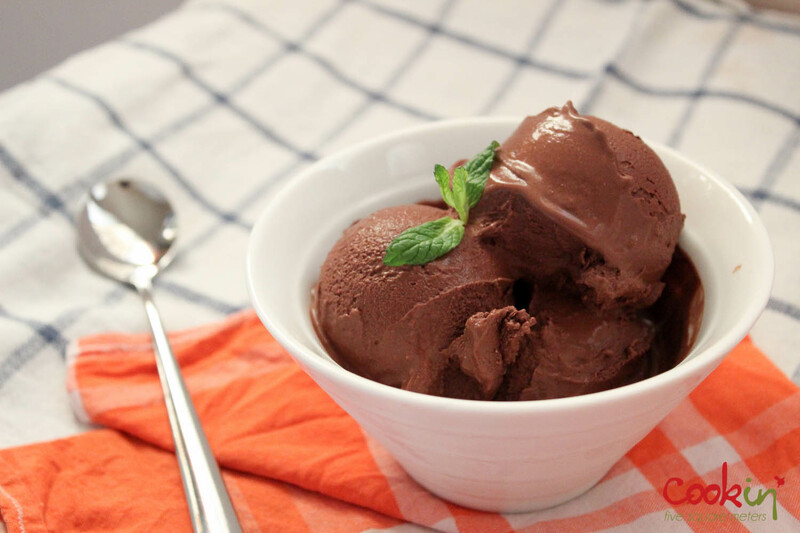 This entry was posted in dairy-free, Dessert, Ice cream, Light Section, Low-fat, No Added Sugar, Recipe, Vegan and tagged allergy, Chocolate, chocolate sorbet, cocoa, cold, cream, dairy-free, dark chocolate, dark chocolate sorbet, david, Dessert, diet, hate, healthy, honey, ice, Ice cream, ice cream recipe, kitchen, lactose-free, lebovitz, low fat, machine, no fat, no sugar, sorbet, sugar-free, vegan ice cream, vegan sorbet, winter. Bookmark the permalink. Isn’t it? I’d love some now! Oh thank goodness! 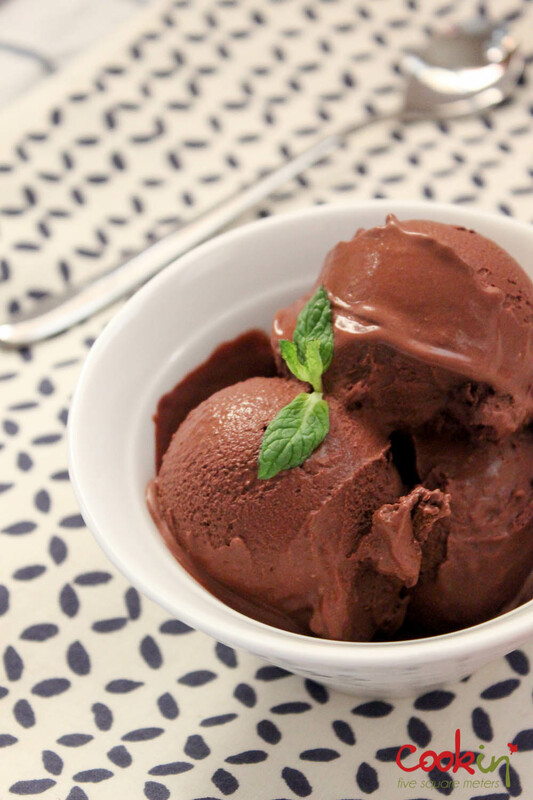 I’ve been looking for a dairy free dark chocolate SOMETHING to cool down with in the summer months. I’ve already made fresh raspberry sauce with the abundance of wild raspberries growing my area of Massachusetts but nothing to drizzle it on…. I’m glad the recipe came to the rescue. How did it work for you? It came out very well. I used 72% chocolate and Ghirardelli cocoa powder, and served it with raspberry sauce and tea cookies to a dinner party, they wanted more. I’m going to try this with a good touch of cinnamon and a bit cayenne pepper to kick it up a notch. Wow. Glad to know it worked. Do you have an ice cream maker? Cinnamon and cayenne sound perfect with it. No! But I know now trying to make a sorbet with sugar will end up grainy without the ice cream maker, so I looked around for a sugar free blend.